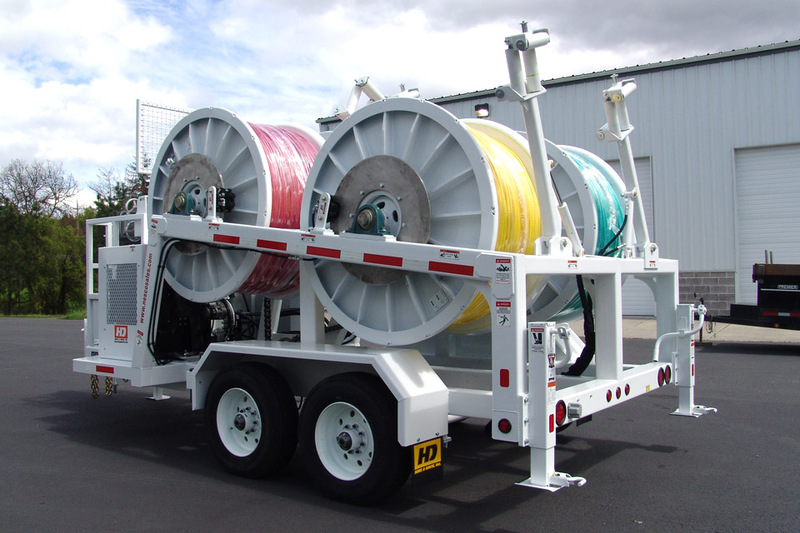 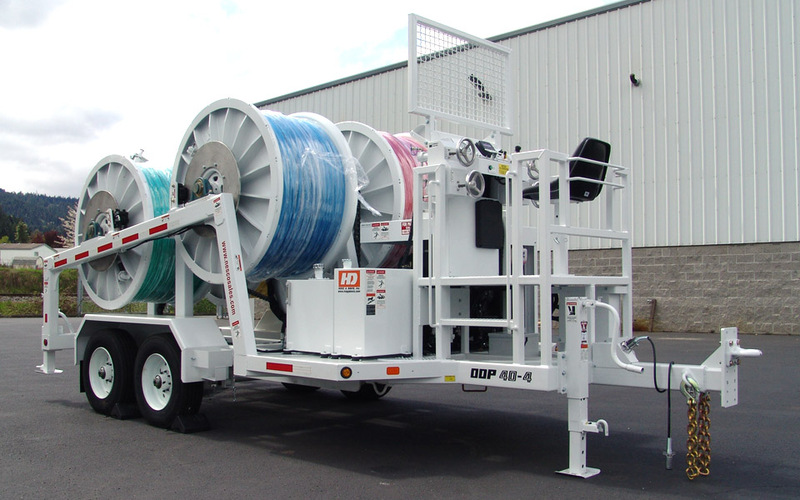 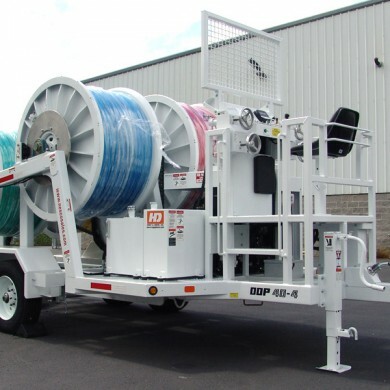 The ODP 40-4 HRC (High Rope Content) is a four drum puller capable of line pull of 4,000 lbs on a single drum. 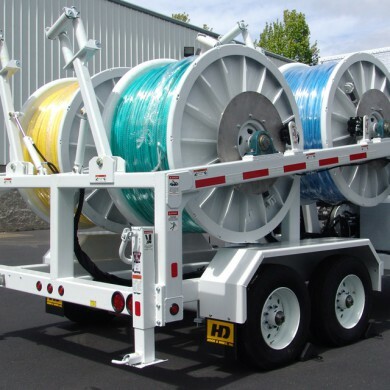 Each drum can be engaged or disengaged for single or multiple drum pulling. 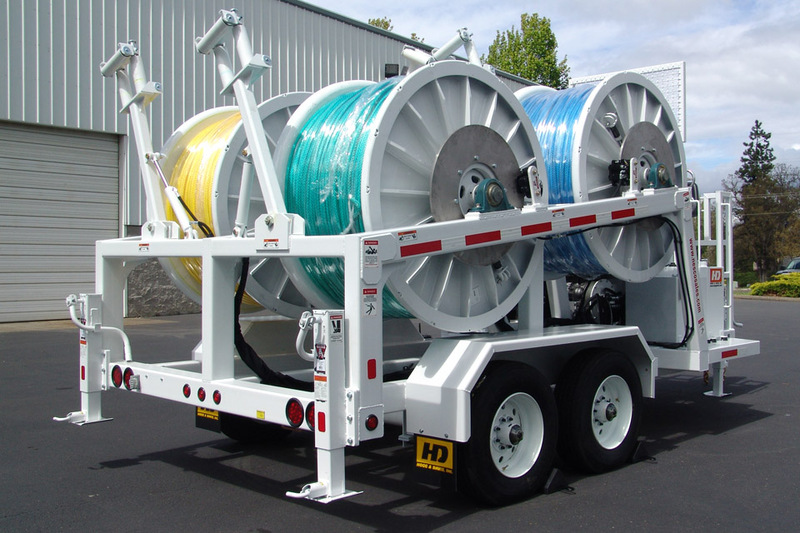 An overspin brake with a hydraulic actuator is also included on each drum. 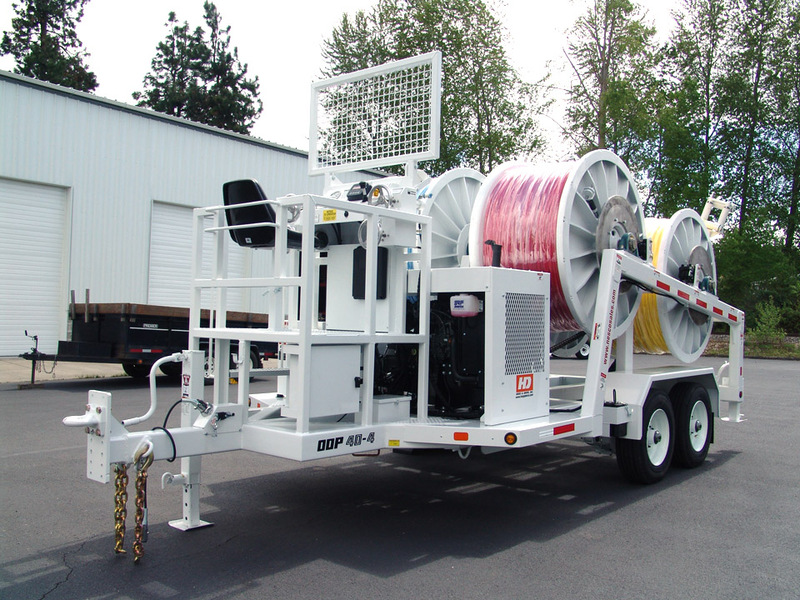 Operator controlled post style levelwind allows for even winding of rope. 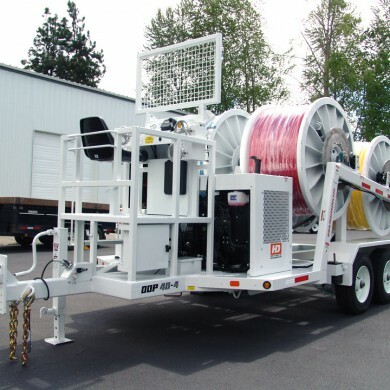 All unit functions are centrally located at the operators station. 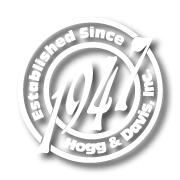 Engine gauges including tachometer, oil pressure, temp, fuel, and voltage are all in view. 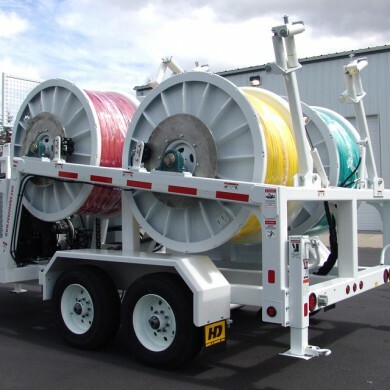 Pulling is controlled with an electric over hydraulic friction joystick allowing for infinite control of line speed and presettable line pull.